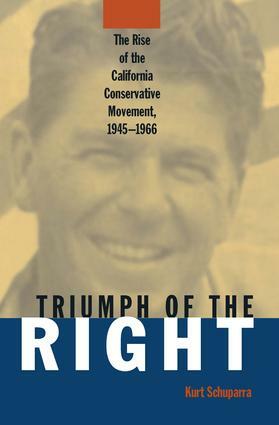 In this, the first book to deal exclusively with conservative politics in California, author Kurt Schuparra pinpoints the myriad factors that led to the formation and rise of the conservative movement in California after World War II, culminating in the election of Ronald Reagan as governor in 1966. While Schuparra is concerned with prominent figures such as Ronald Reagan, California senator William Knowland, Richard Nixon, and Arizona senator Barry Goldwater, his larger interest is in the principal players in the movement behind these individuals, the causes they espoused, and the movement's role in pivotal electoral contests. Schuparra also provides an assessment of how the struggle between liberals and conservatives - and those caught in the middle - in the Golden State both reflected and influenced the national debate over major governmental policies and social issues, particularly on racial matters.